Billionaire Mikhail Prokhorov expressed regret Monday that he had not run for Moscow's mayor, saying that he would have posed a more serious challenge to the incumbent, Sergei Sobyanin, than opposition leader Alexei Navalny. 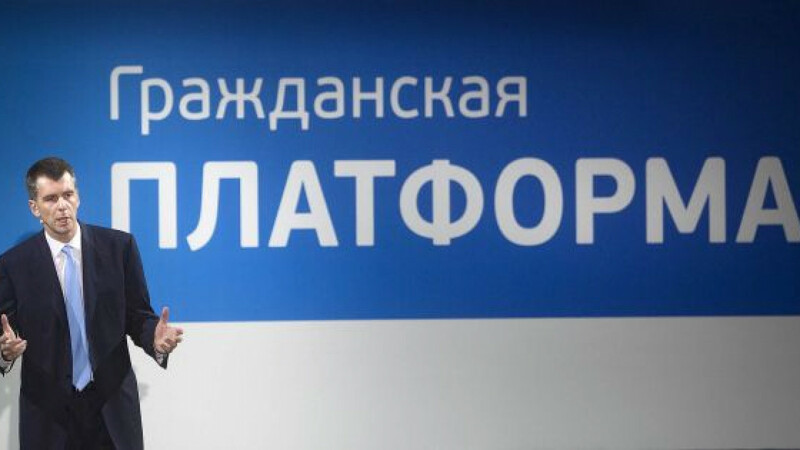 Prokhorov, leader of the pro-business Civic Platform party, said he had not been able to make a bid for office because of a legal technicality raised by a last-minute change in city law. "Of course I regret it," Prokhorov said when asked in an interview on Ren-TV television if he wished he had run for mayor. "Alexei's preliminary results lead me to believe that they [the authorities] were well aware that if I had participated in the election, then, I think, it might have gone into a second round." Elections officials said Monday that no second round would be held because Sobyanin had won more than 50 percent of the vote on Sunday. According to preliminary results, Sobyanin won a narrow victory with 51.32 percent of the vote, followed by Navalny with 27.27 percent. Communist candidate Ivan Melnikov placed third with 10.71 percent. Prokhorov, who ran against Vladimir Putin for president last year but placed a distant third with 7.98 percent of the vote, said Monday that he believed that he could have mounted a serious fight in Moscow by attracting more voters to polling stations. "Honestly, I don't doubt it right now because of the low turnout," he said. "It's obvious that the reason the turnout was so low was because there was no candidate from Civic Platform." Voter turnout reached 32 percent, according to elections officials. Still Prokhorov praised Navalny's results as "phenomenal." "I think that even with this low turnout, this is a phenomenal result for Alexei Navalny," he said. "No one expected such a result from him — and it is not over yet. Let's wait until the end." While Prokhorov might have regrets in Moscow, he was riding high Monday after preliminary results from an election in Yekaterinburg indicated that his party's candidate, Yevgeny Roizman, had beat the pro-Kremlin candidate by nearly 4 percent to claim the mayor's post.